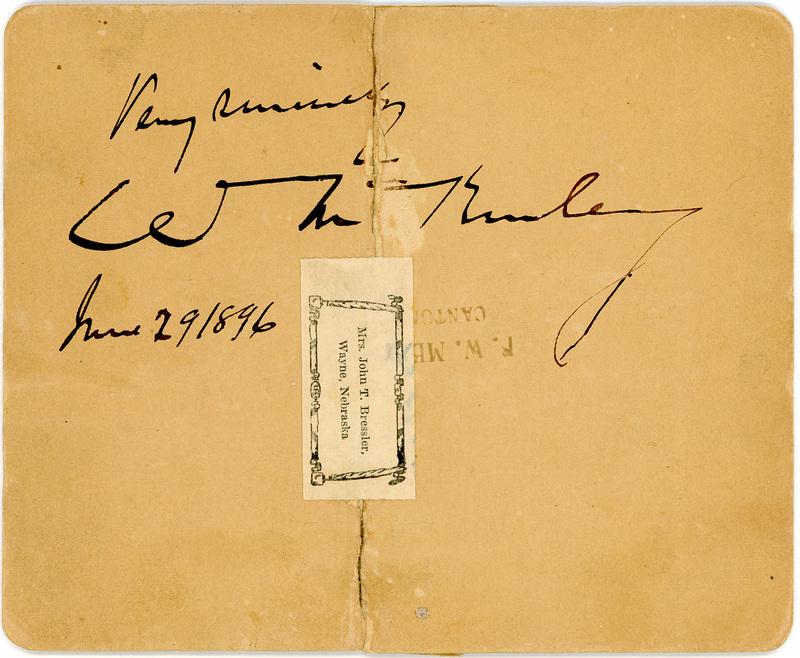 At the June,1896 Republican convention that nominated William McKinley as their presidential candidate, my great grandfather, John Tannehill Bressler, was part of the group chosen to inform the nominee of that decision. This was back in the day when the nominee did not attend the convention, but waited in a nearby hotel for the results. 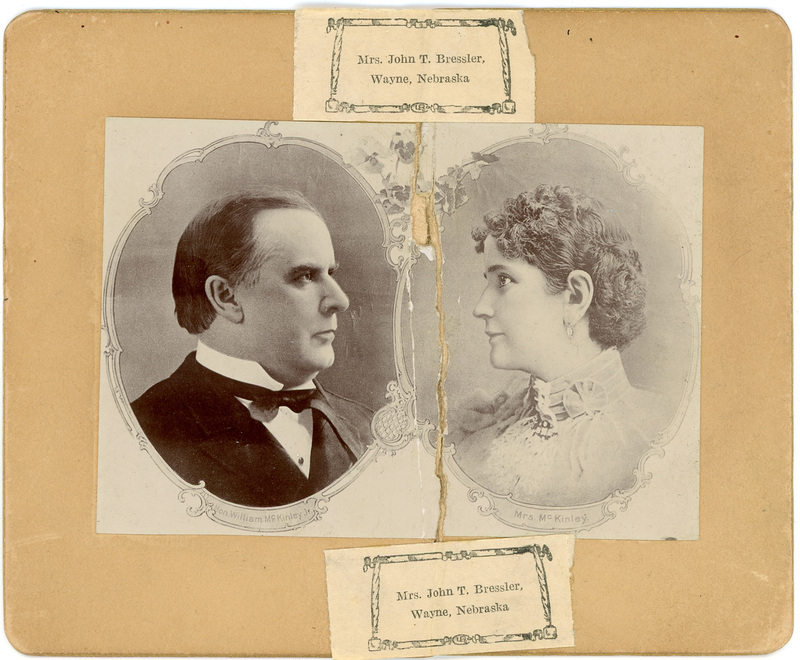 Later Grandpa Bressler received this cabinet card with photos of Mr. and Mrs. McKinley with the nominee’s autograph on the back. It would appear that some accident happened to the card and it was repaired with Bressler’s address labels.